← A Funghi to be with! All for the love of the mushroom! After another hectic week at The Caprese, Costanzo decided to spend his only day off hunting for mushrooms again. The season for mushrooms is very short here and when it is “mushroom weather” as he describes it, he grabs the opportunity whenever he has a bit of spare time, which isn’t very often! So on Sunday, off we went wandering through the Scottish countryside in hot pursuit of the funghi. I decided to take my camera to capture the beautiful scenery whilst we were out there, bad idea. With the camera case strapped around my shoulder, my mobile phone also inside the camera case (incase we need to call for an air ambulance to airlift us out!) we went off in our search. 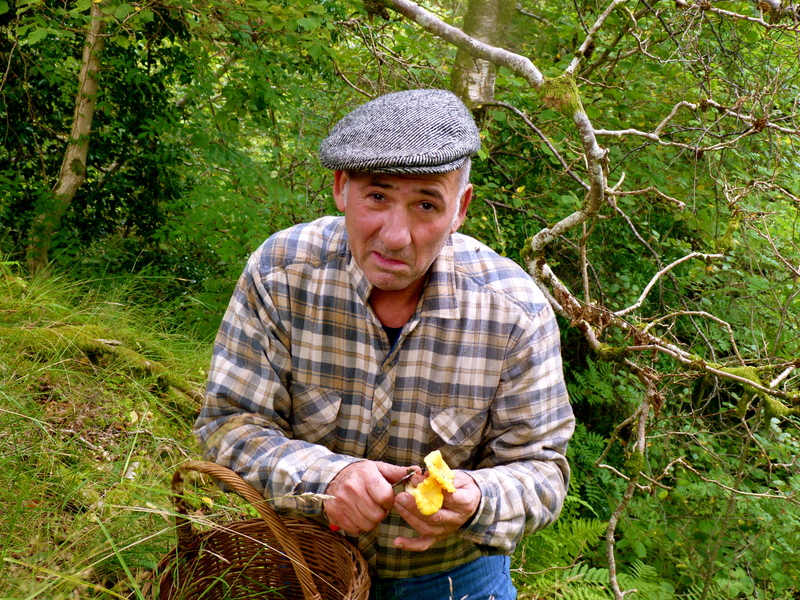 We went off to our usual place of precarious drops and found a lovely crop of chanterelle, which you can see Costanzo cleaning in the photo above. Not realising my camera case was open, I tried to climb down to reach the mushrooms below, disaster. The camera and mobile phone went tumbling down the hill out of sight. Thankfully the camera was only a short way down and survived the fall. After a 10 minute hunt Costanzo spotted the mobile phone further down which involved him having to climb down the sheer drop to retrieve it, no harm done. 5 minutes later, I hear Costanzo shout. The basket containing the mushrooms had tumbled down the drop and was now sitting in the middle of the river below! This time, I decided to take my turn of climbing down, what a scary experience! The earth is so loose under your feet so it just crumbles as you try to grip onto it and with nothing but ferns around, there really isn’t much to grab onto as you tumble down the hill! Finally got down there, filthy with mud and retrieved the basket from the river but trying to climb back up again with one hand holding onto the basket was a bit of an effort with Costanzo shouting from above to hurry up as it was starting to rain, that’s all we needed! We got there eventually though, no broken bones and a couple of big baskets full of porcini and chanterelle mushrooms to show for our trauma! If he sees me taking my camera out on another mushroom hunt, I swear he may kill me. 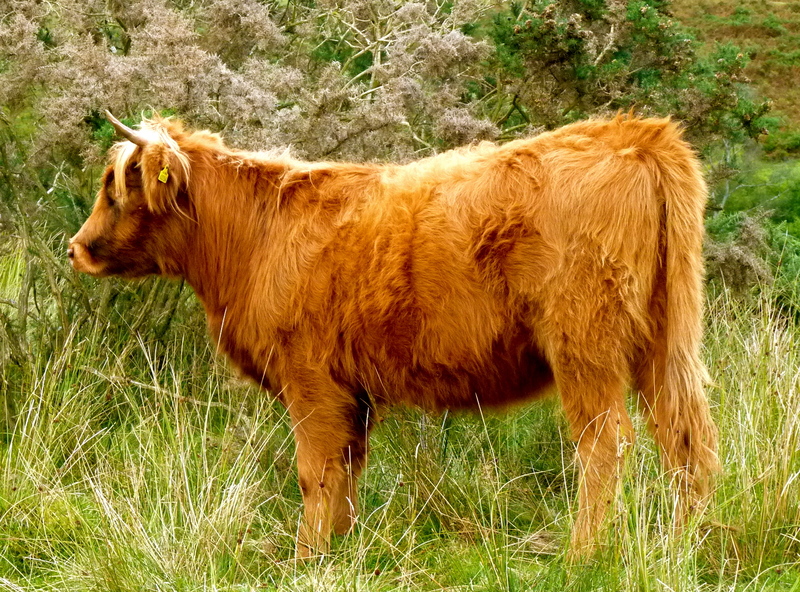 Since I had my camera with me, I thought I would take a shot of a beautiful Highland Cow who came to investigate what we were doing. This one wasn’t scary at all, unlike the bulls, a real gentle giant.